Started in 2013, the Warfighter Effectiveness Research Center (WERC) is the research arm of the Department of Behavioral Sciences and Leadership, facilitating faculty and cadet research that enhance warfighter effectiveness. The WERC conducts a wide range of research and design projects for operational customers including special operations forces, the Air Force Office of Scientific Research, and Air Force Research Laboratory. These projects are based in the behavioral sciences and connect to a wide range of disciplines and collaborators across government labs, academia, industry, and military operators in order to generate the most innovative and effective solutions. Trans-disciplinary approach to the research and design more effective human-machine teams. 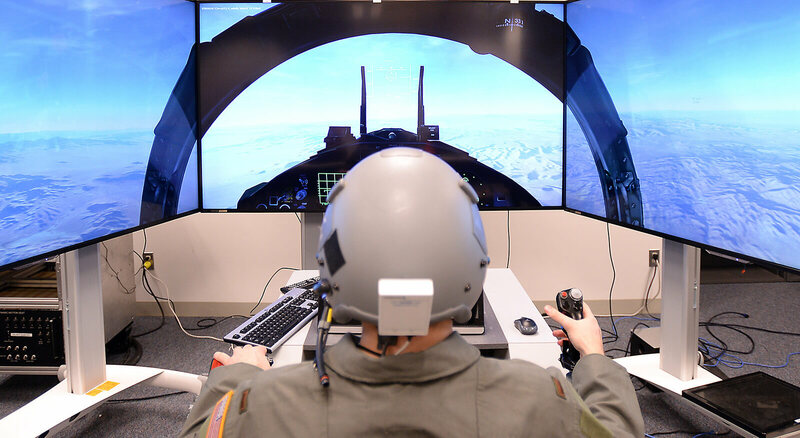 postdoctoral fellowship – The Warfighter Effectiveness Research Center (WERC) at the U.S. Air Force Academy (USAFA) is offering a postdoctoral fellowship. The postdoctoral fellow will work closely with Dr. Elizabeth Phillips on an Air Force Office of Scientific Research, Army Research Laboratory, and National Institute of Health-sponsored research program to investigate socially intelligent mission assistants. The candidate will investigate the design and psychological consequences of 1) robot social norms; 2) robot-aided conflict mediation; 3) social rapport between humans and robots; and 4) perception of robots’ human-likeness. This is a stipend-based position open to doctoral graduates and graduate students planning to graduate before the conclusion of the 2019 spring semester. To find out more and apply for the fellowship, click here. Grants – Collaborate on traditional grants. BAA – The U.S. Air Force Research Lab Summer Faculty Fellowship Program offers hands-on exposure to Air Force research challenges through 8- to 12-week research residencies at the WERC for full-time science, mathematics, and engineering faculty at U.S. colleges and universities. You can find more information here. Windows on Science (WoS) – Foreign scientists are funded to visit U.S. Air Force sites. CRADA – Agreement by which researchers are able to form partnerships with non-federal entities. Educational Partnership Agreement – agreement used to loan/donate equipment to educational institutions. Engineer & Scientist Exchange Program (ESEP) – Provides on-site working assignments for U.S. military and civilian engineers and scientists in allied and friendly governments’ organizations, and the reciprocal assignment of foreign engineers and scientists in U .S. defense establishments. U.S. Air Force Academy Cadet Summer Research Program (CSRP) – Behavioral Science students (cadets) entering their final/senior year of study participate in 5-6 week undergraduate summer internships funded by host/sponsor. Memorandum of Agreement – Agreement by which researchers are able to form partnerships with federal entities. If you are interested in any of the above opportunities, please contact the WERC Director (chad.tossell@usafa.edu).